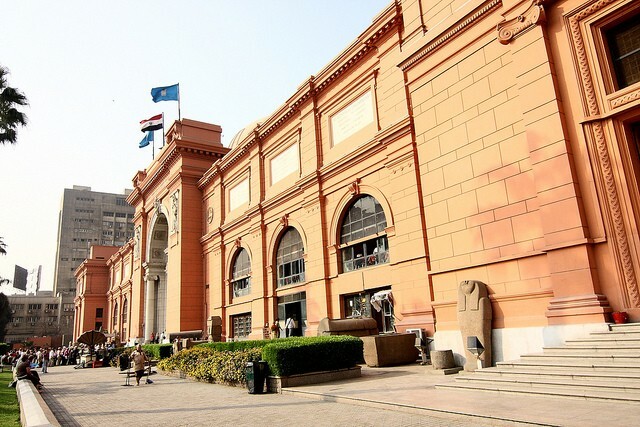 The Museum of Egyptian Antiquities, knwon as the Egyptian Museum in Cairo houses the world’s most exquisite and extensive collection of ancient Egyptian artifacts, covering more than 3,000 years, from the Old Kingdom to the Roman period in Egypt. It’s said that if you allowed one minute for each exhibit, it would take nine months to see everything here. But if that’s a little too long, take at least a morning ( or better still two ) to see the museum’s many highlights, even though the exhibits are often badly lit and displayed. The ground floor is arranged chronologically, moving clockwise from the entrance hall, while exhibits on the first floor are grouped thematically. The beginnings of Egyptian art are marked by the Narmer Palette which records the unification of Egypt by King Menes, and by the museum’s oldest statues- that of the seated King Zoser was found near his step pyramid at Saqqara. The smooth black statue of the pyramid builder Khafre is a masterpiece, as is the striking wooden man known as the Sheikh al Balad or Village Chief. Room 32 is dominated by the striking double statue of the harmonious couple Rahotep and Nofret, which has exceptionally well-preserved colours. Rather more bizarre is the statue of the dwarf Seneb and his wife, with his children placed to hide his short legs. The remarkably colourful chapel of Hathor, with a life-size statue of the cow goddess, was found at Hatshepsut Temple, Deir al Bahari, in Luxor. One of the museum’s most fascinating collections, shows the ground-breaking realistic art from the time of the rebellious pharaoh Akhenaton. 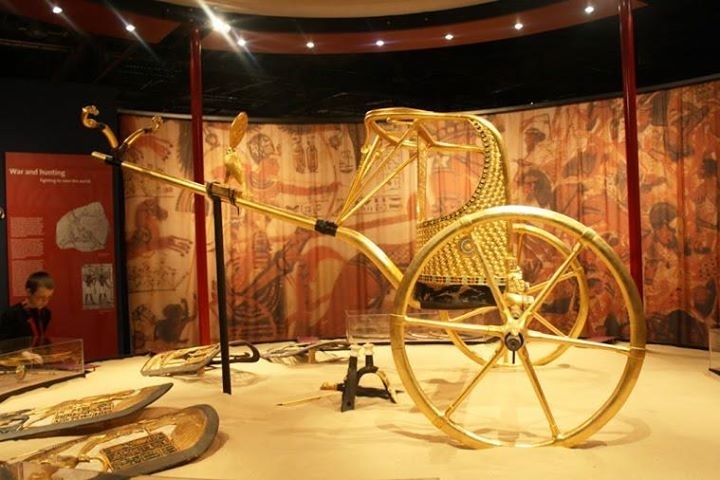 The biggest crowd-puller among the museum’s many world-class treasure is undoubtedly Tutankhamun’s treasure. Akhenaton’s son-in-law ruled for only nine years, but he became famous when the English archaeologist Howard Carter (1874- 1939 )discovered his intact tomb in 1922 in the valley of the kings, packed to the roof with the dazzling objects that were intended to see him through the afterlife. 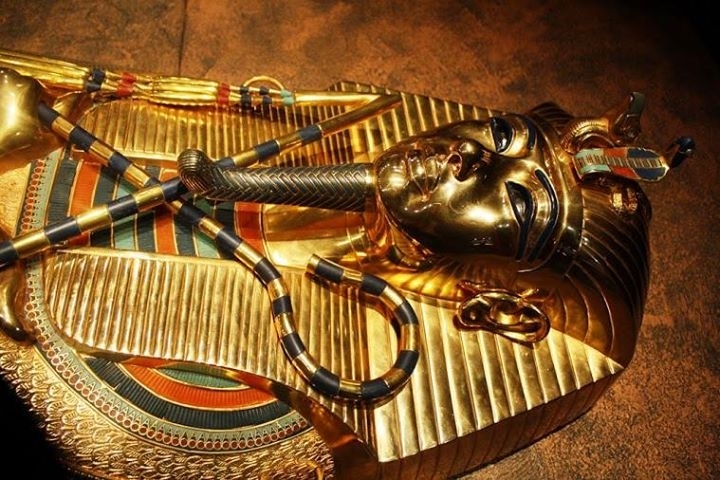 You may have to queue in Room 3 to see the biggest treasure of all, Tutankhamun’s solid-gold death mask, encrusted with semi-precious stones, his golden sarcophagus and his jewellery. Room 56 houses the mummies of Egypt’s most illustrious pharaohs, including Seti I , his son Ramses II and Tuthmosis II. 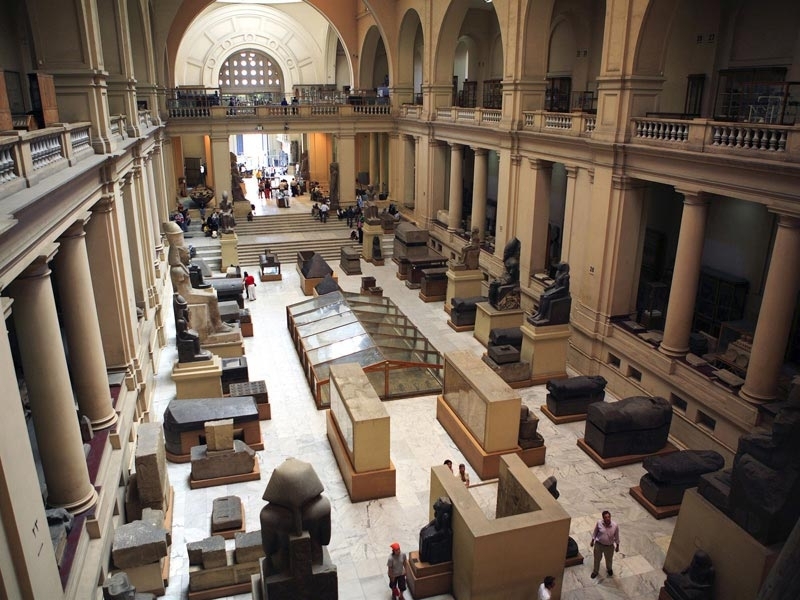 - Most tour buses get to the museum around 10 am, so avoid the crowds by going earlier, or later in the afternoon. The amount of things to see is staggering so try to spread your visit over at least two half days, may be exploring one floor at a time. - Ones to miss: The eastern wing of the ground floor, mostly devoted to the Late Period, is badly labeled and less interesting than the rest, except for the Graeco-Roman art in Room 34. 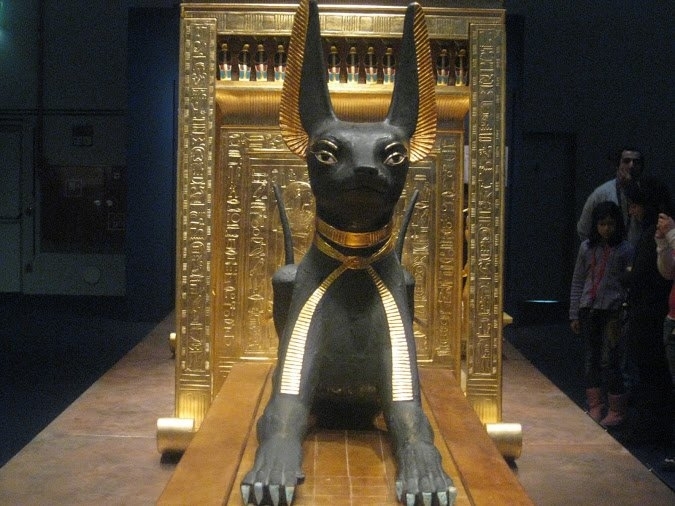 You could also skip the western outer galleries of sarcophagi on the first floor and the astern inner galleries (except Room 14) for the same reasons.